Anxiety functions as an internal alarm and allows us to guard against danger. If we did not feel anxious, we would put our lives and those around us at risk. A certain level of anxiety allows us to mobilise our abilities and take care of ourselves. However, sometimes anxiety sets in over time and appears disproportionate. This anxiety then becomes harmful. Extreme anxiety is not just a nervousness caused by an external event with obvious causes. Some people constantly experience an uncontrollable sense of worry, tension, even fear that has no rational reason. It's as if the anxious person is looking at the world through magnifying glasses that make small problems big. This constant worry sometimes occurs after a traumatic event or is acquired in a hostile environment that forces the individual to develop a hypervigilance to protect themselves. As no sense of internal security has developed, there is constant distrust of the outside world. The intensity of the disorder and the discomfort varies according to the individual. It may be very strong in some people, and "trivialised" in others. In some people, anxiety will mainly affect thoughts and emotions, with great anxiety, ceaseless ruminations... in others, it will give physical signs: fatigue, irritability, muscle tension, nausea. In all cases, generalised anxiety is a real burden that can become unbearable in everyday life for the person as well as those around him. If left untreated, anxiety can prevent action, cause blockages, hinder the completion of projects which causes difficulties in personal relationships and problems at work. Anxiety is often the cause of addictive reliance upon psychotropic products (alcohol, cannabis, sedatives, anxiolytics, sleeping pills) to subdue anxiety. When prolonged, anxiety can lead to mental exhaustion and depression. It is also responsible for many somatic symptoms and contributes to the development of functional disorders such as insomnia or functional digestive disorders and other psychosomatic disorders. 1) The presence of excessive anxiety and worry about a variety of topics, events, or activities. Worry occurs more often than not for at least six months and is clearly excessive (no specific threat present or disproportionate to the actual risk). The worry may be accompanied by reassurance-seeking from others. 2) The worry is experienced as very challenging to control. Tiring easily; more fatigued than usual. Impaired concentration or feeling as though the mind goes blank. Increased muscle aches or soreness. Difficulty sleeping (due to trouble falling asleep or staying asleep, restlessness at night, or unsatisfying sleep). If you have one or more of these symptoms, psychotherapy may be the solution to help you manage and decrease your anxiety. People suffering from excessive anxiety can be slow in asking for help and tend to minimise their suffering. They consider that their anxiety will not be taken seriously, especially if they have never experienced a panic attack. However, the panic attack is not necessarily a symptom of anxiety. Alongside anxiety, there is often a feeling of guilt for not being able to confront situations that seem innocuous to others. Guilt lowers self-esteem and increases the fear of being judged; asking for help to face one's fears requires courage. Starting therapy to understand your fears and go beyond them requires courage. In the treatment of anxiety, a combination of relationship-based therapy, Cognitive Behavioural Therapy and Acceptance and Commitment Therapy all give good results. In acute anxiety crisis, anxiolytics (medication prescribed by a GP) are often suggested to give some relief, but they do not cure the disorder in the long term and can cause addiction. If and when anxiety is manageable, therapy is then indicated to understand, control stress and change habits. Whatever your level of anxiety, it is important that you take the time to find the right psychotherapist who will listen to you and adapt his or her methods to your needs and your personality. In a non-judgemental exchange with the psychotherapist, the patient gains a sense of safety and learns to express and analyse his worries, to express the emotions little by little, without becoming overwhelmed. With the support and understanding of the right therapist, the patient finds his own way to reduce his anxiety by increasing self-esteem and reliance on himself. Sonia Cerqueira is a French psychologist who provides therapy both in French and in English. 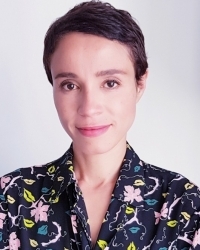 She sees adult and child clients for short-term counselling and longer-term psychotherapy and uses a range of modern approaches depending on client needs. -BPS Chartered Psychologist and BACP registered.